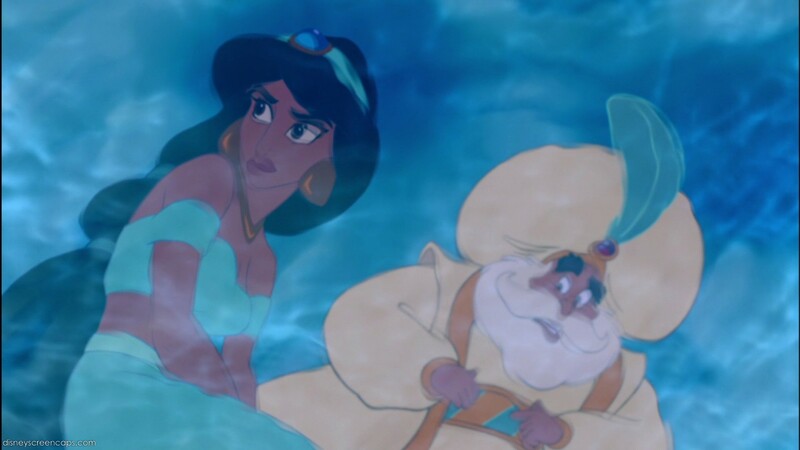 First scene of Princess चमेली. . HD Wallpaper and background images in the अलादीन club tagged: aladdin disney jasmine animated film movie princess rajah sultan. This अलादीन photo might contain पानी, तैराकी, तैरना, स्विमिंग, समुद्र में नहाने वाला, बादर, and bather.